Bestselling editor, Pornsak Pichetshote is excited about Infidel, his upcoming release with Image press. It’s a monthly horror miniseries that promises to take some new twists on familiar conventions of the “apartment haunting”. 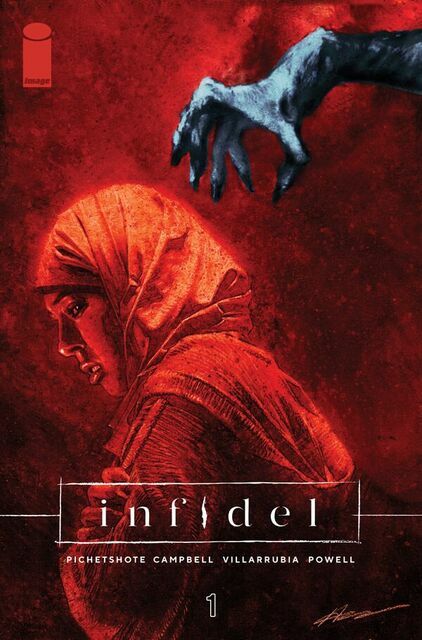 Infidel, with stunning art by Aaron Campbell, bold coloring by Jose Villarrubia, and Letter/designer Jeff Powell will hits stands March 14th, rated M for mature (in case you hadn’t guessed it by now). You can look for local comic shops, check out the variant covers, or preorder digital here. While you’re waiting for Infidel to hit stands, you can check out Two Sentence Horror Stories here. May the chills be with you.